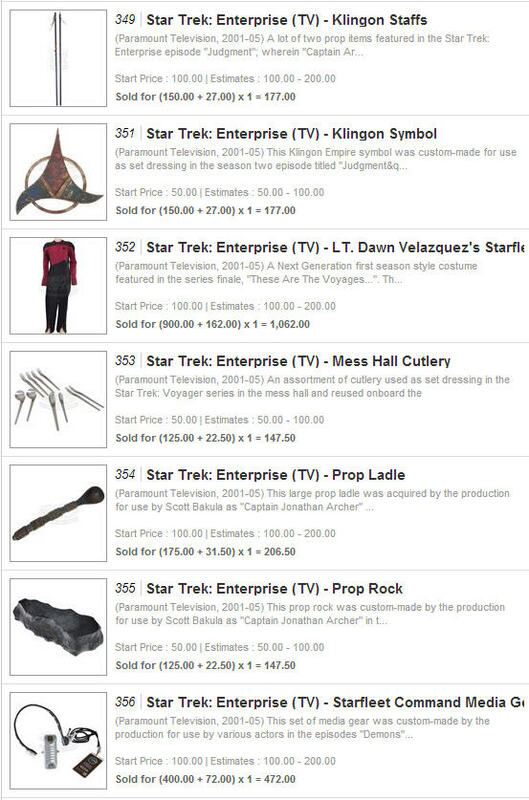 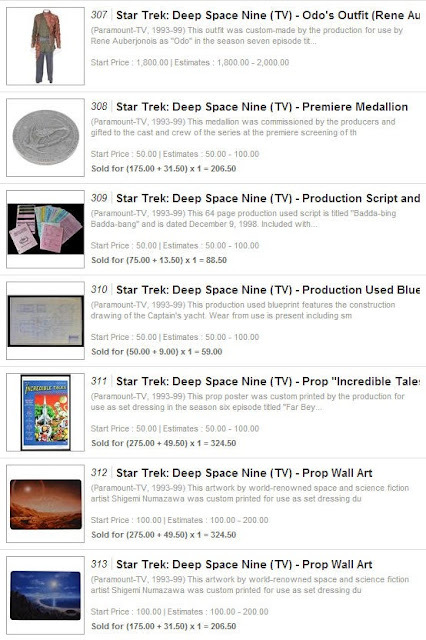 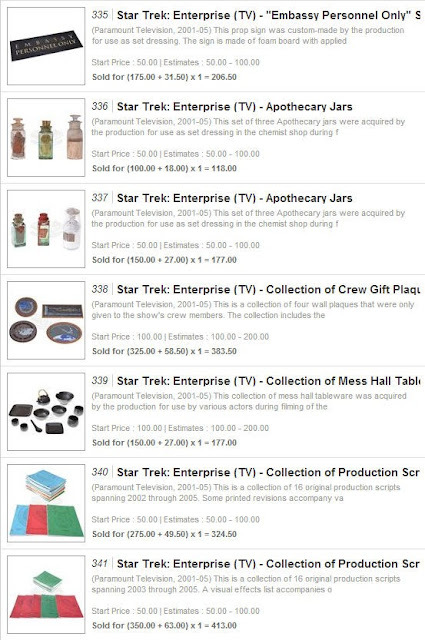 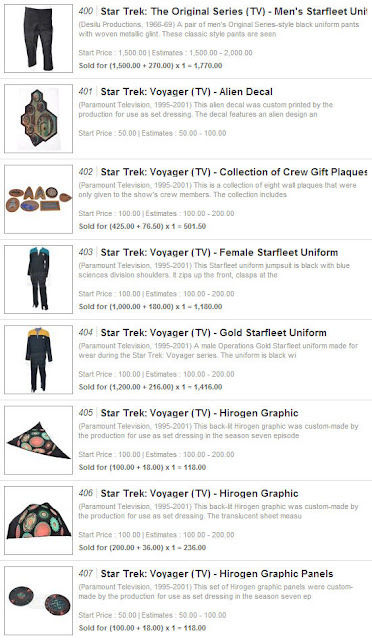 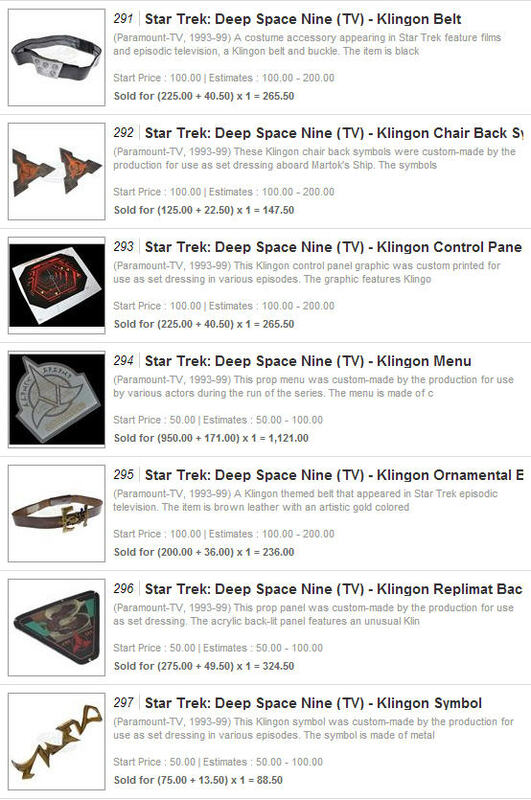 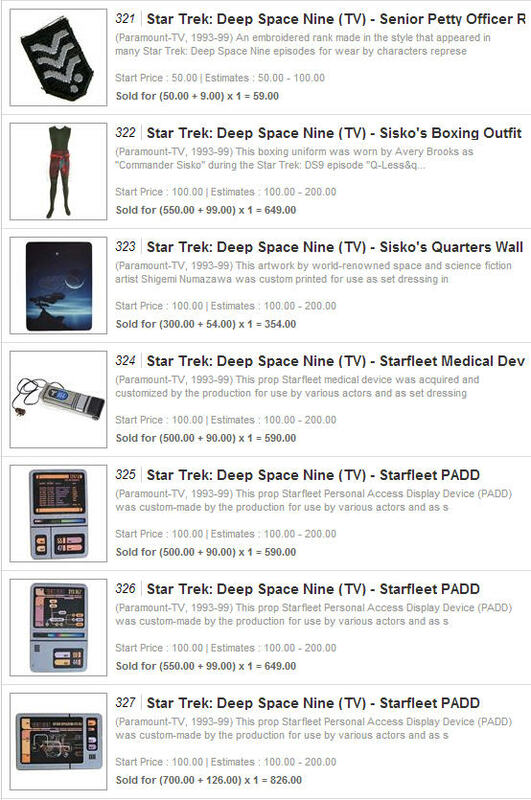 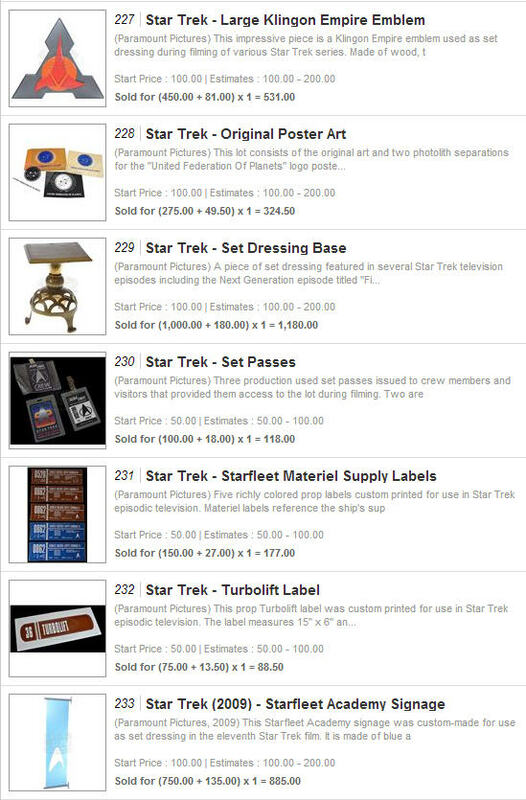 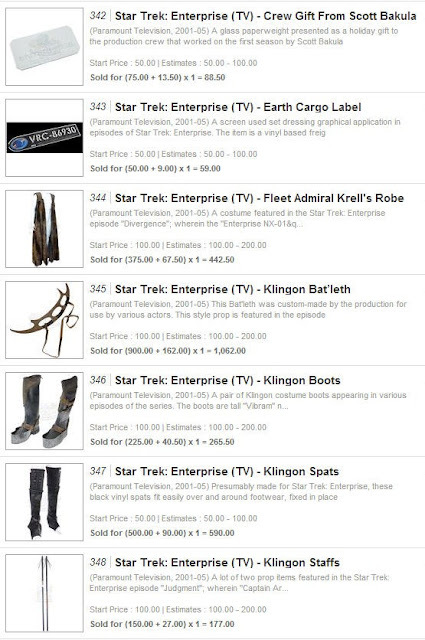 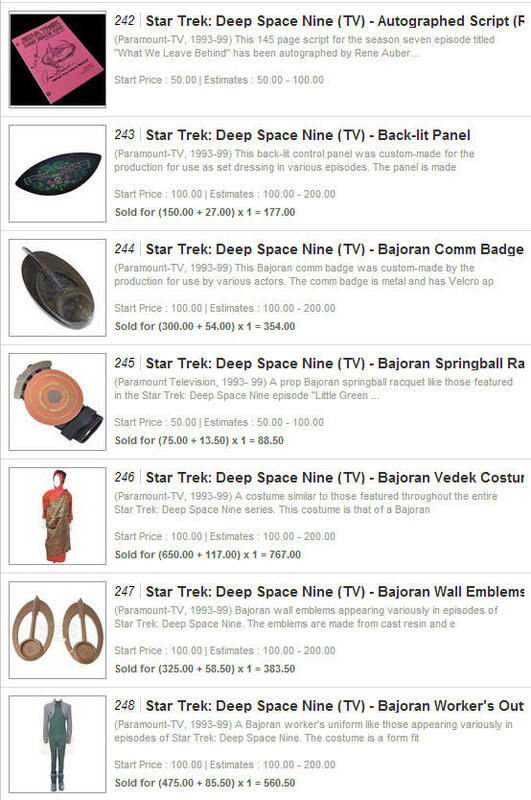 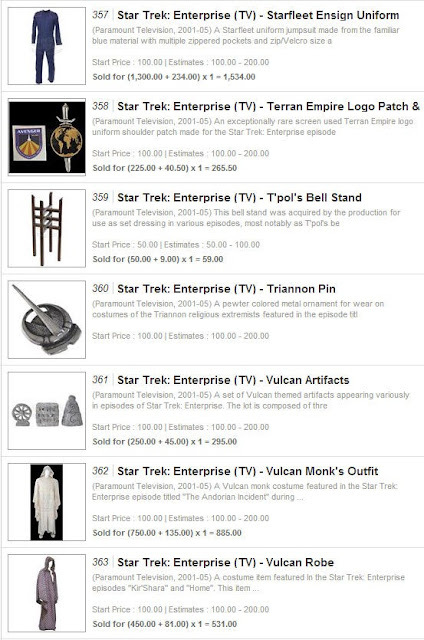 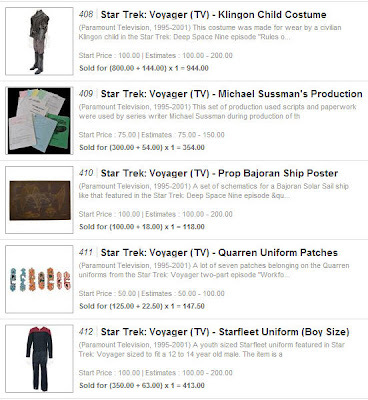 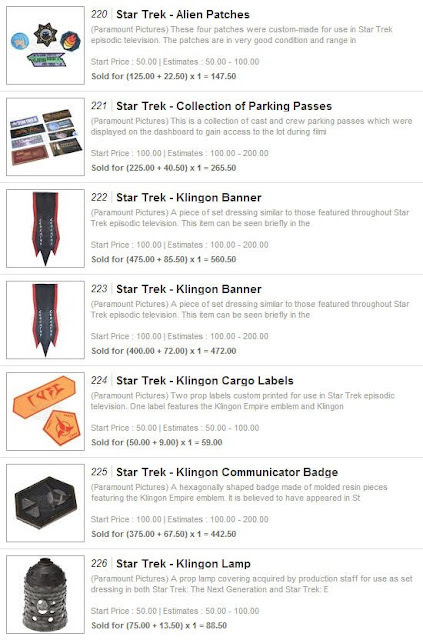 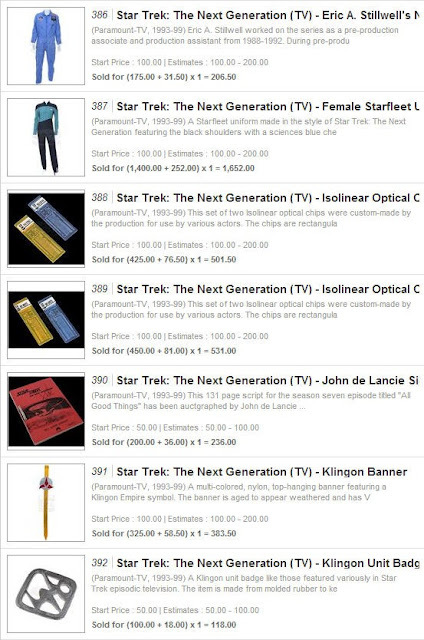 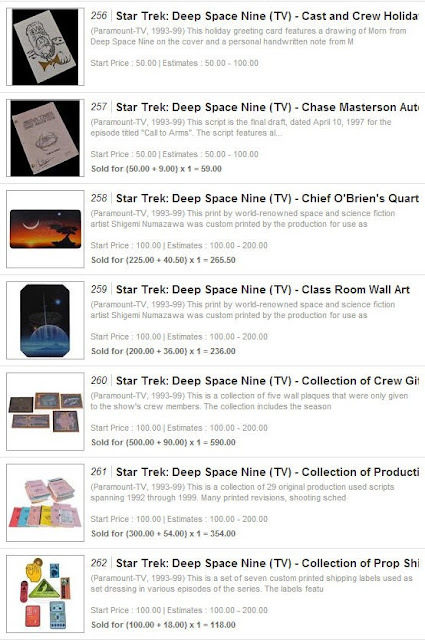 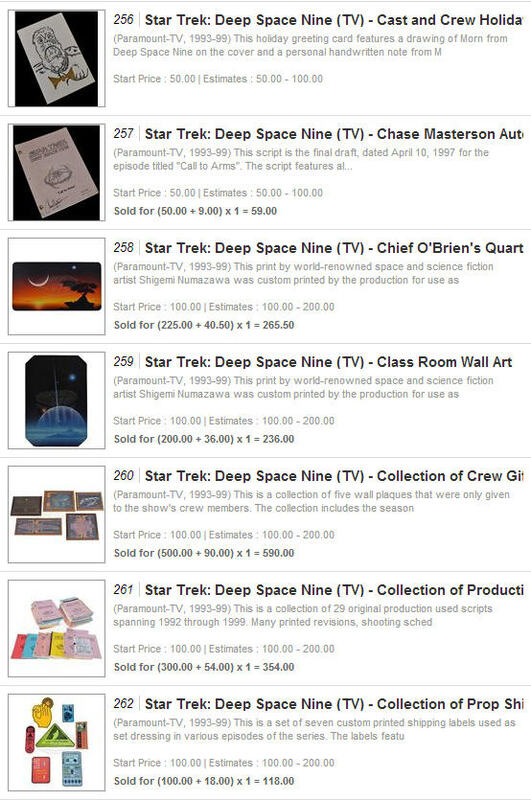 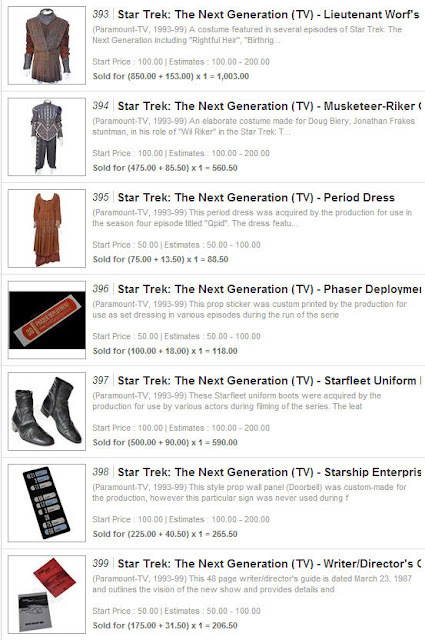 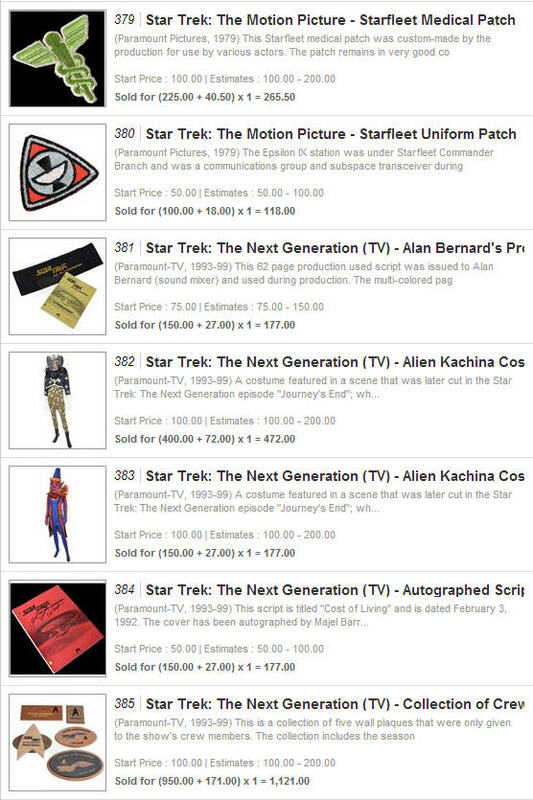 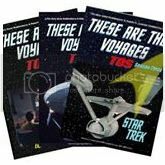 Presented below is the complete set of final prices realized for the 193 lots of Star Trek memorabilia that were offered in the ScreenUsed Summer 2013 Movie Prop and Wardrobe Auction; which concluded earlier this afternoon in an exciting live online bidding session at iCollector.com. 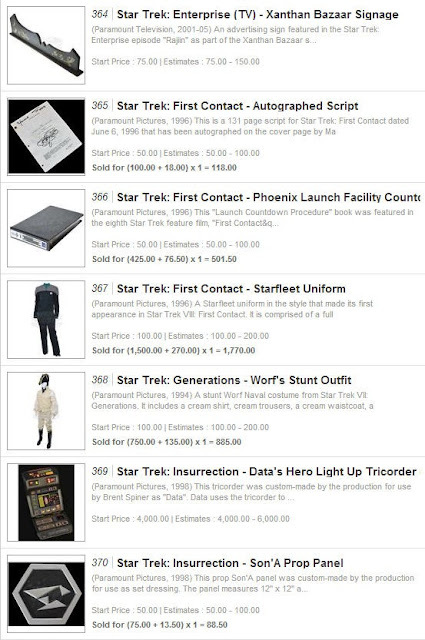 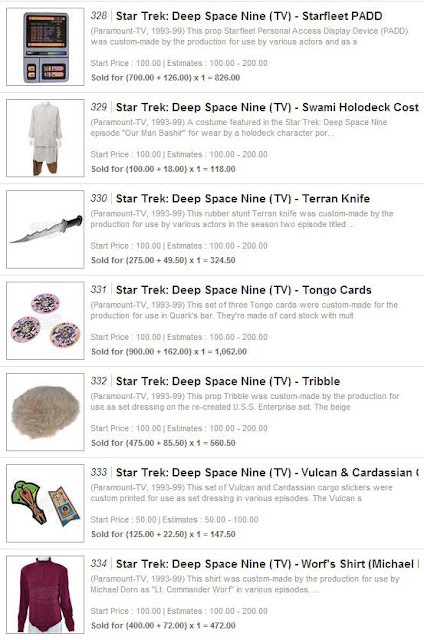 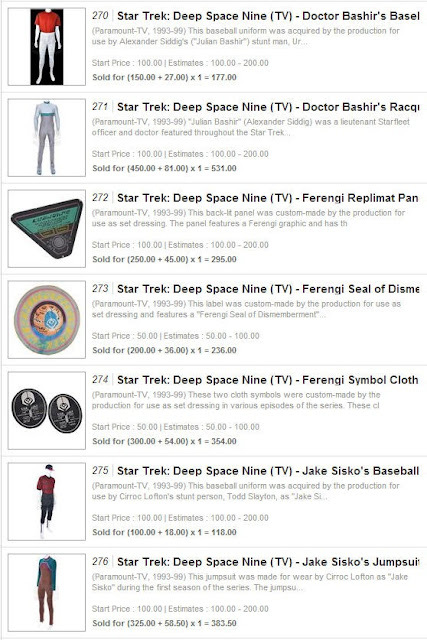 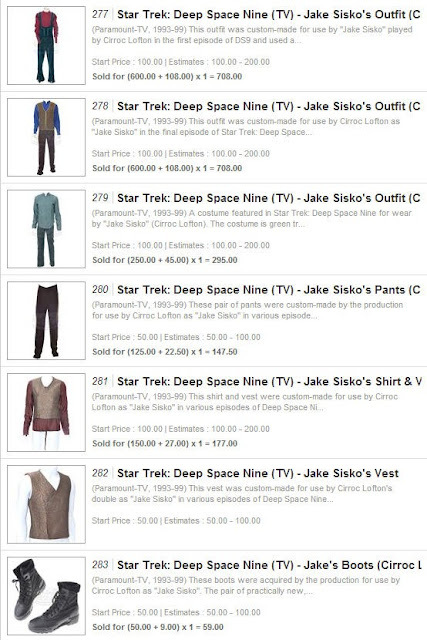 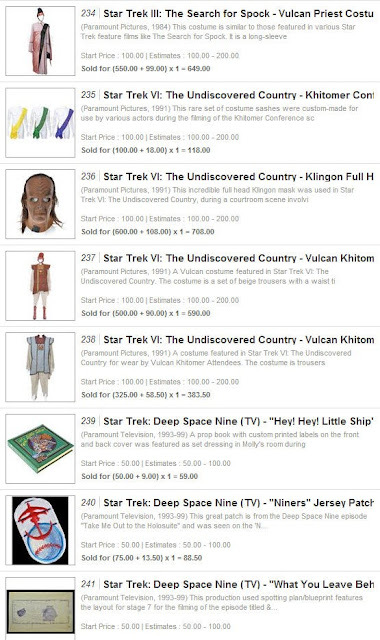 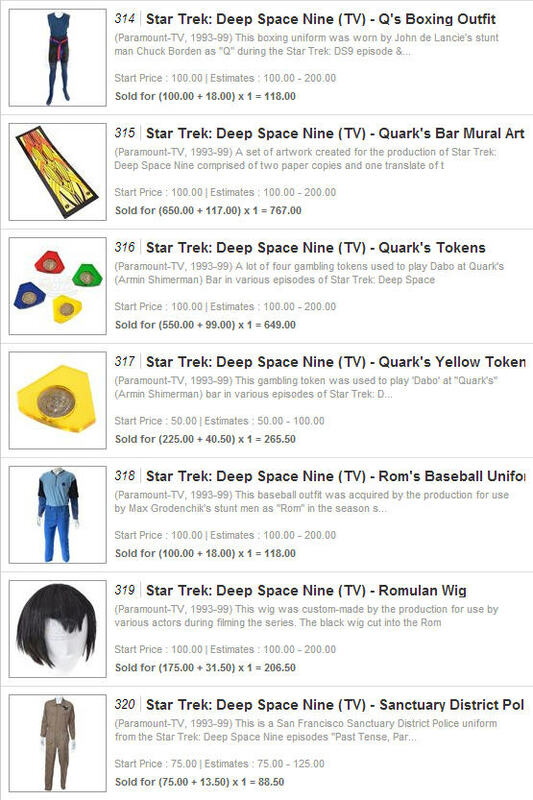 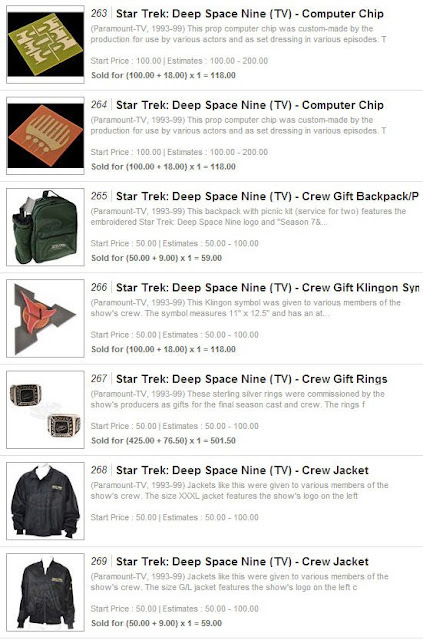 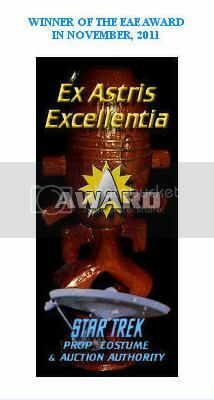 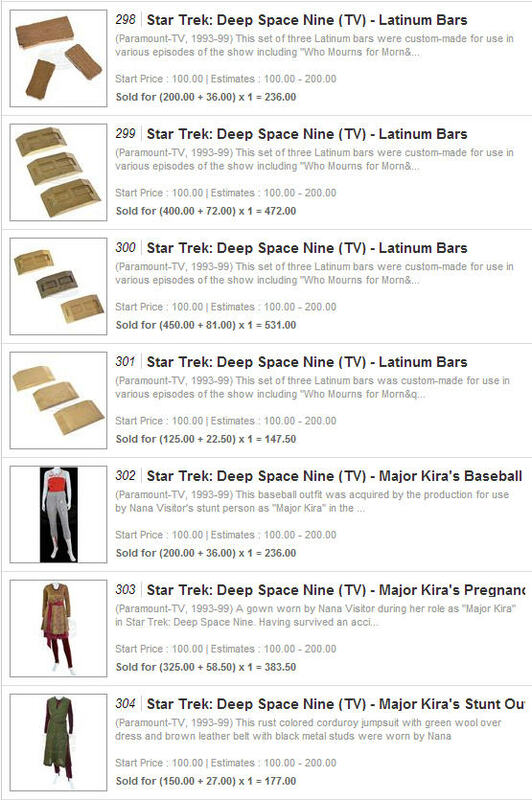 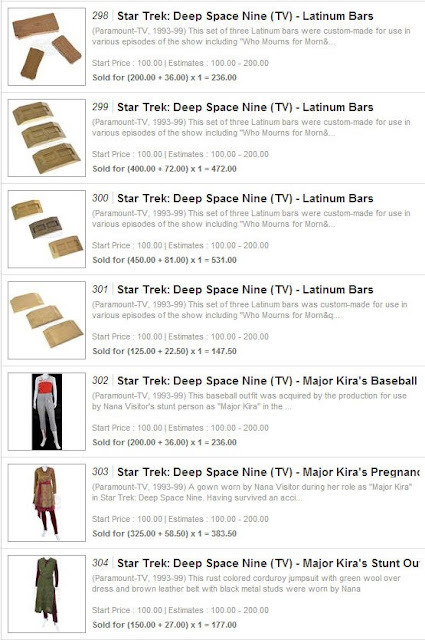 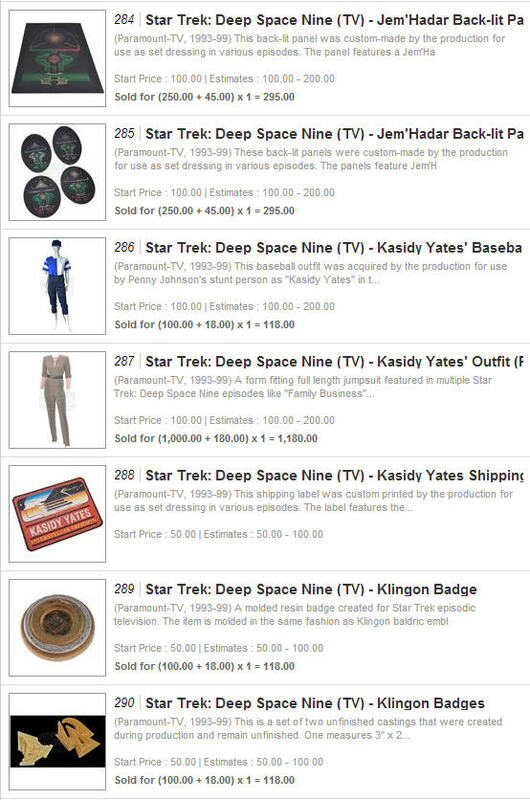 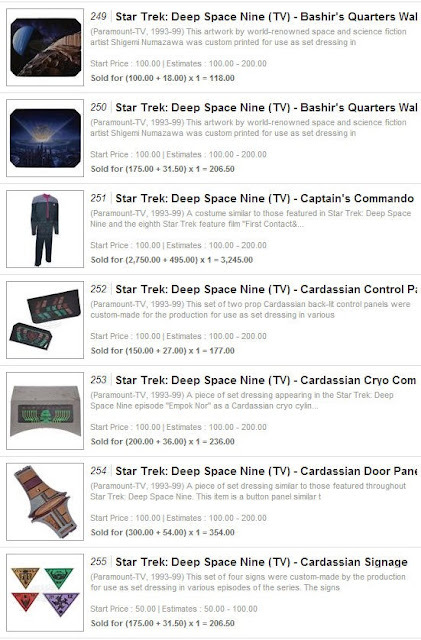 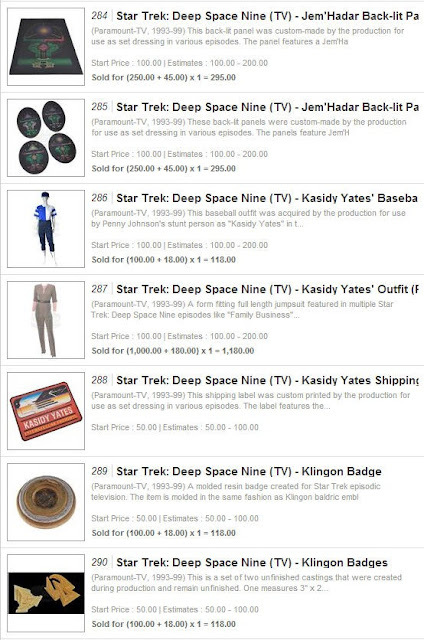 Some highlights of the event include a Star Trek: DS9 Captain's Commando Starfleet uniform which realized a final price of $3,245; a Star Trek: Nemesis Captain Picard Starfleet Uniform for wear by stunt performers which also sold for $3,245; and Nog's Starfleet Uniform from DS9 which reached a final value of $1,888. 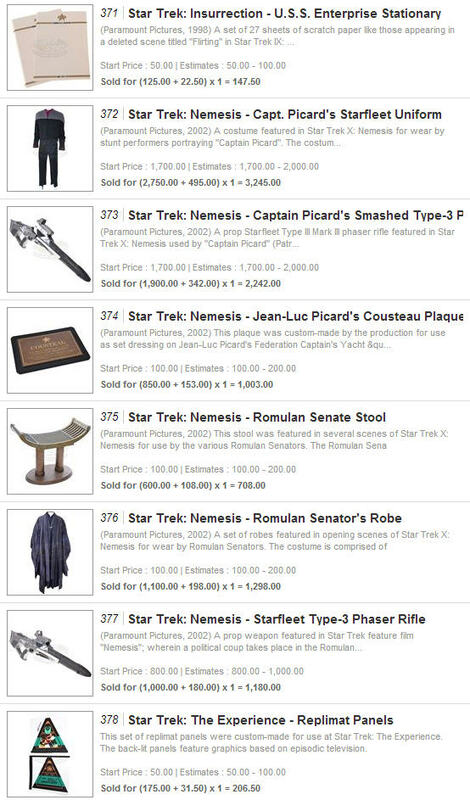 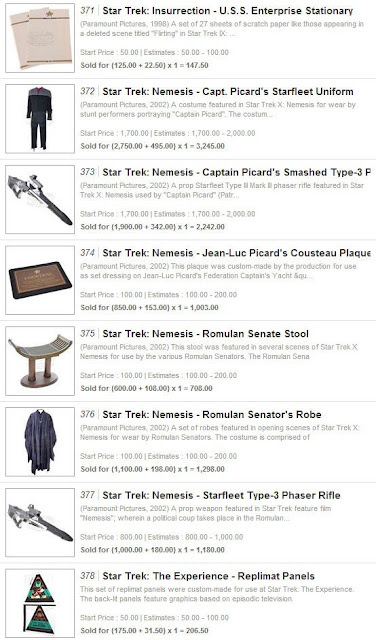 A Captain Picard Smashed Type-3 Phaser Rifle from Star Trek: Nemesis sold for $2,242; while a pair of Star Trek Original Series men's Starfleet uniform pants realized $1,770.